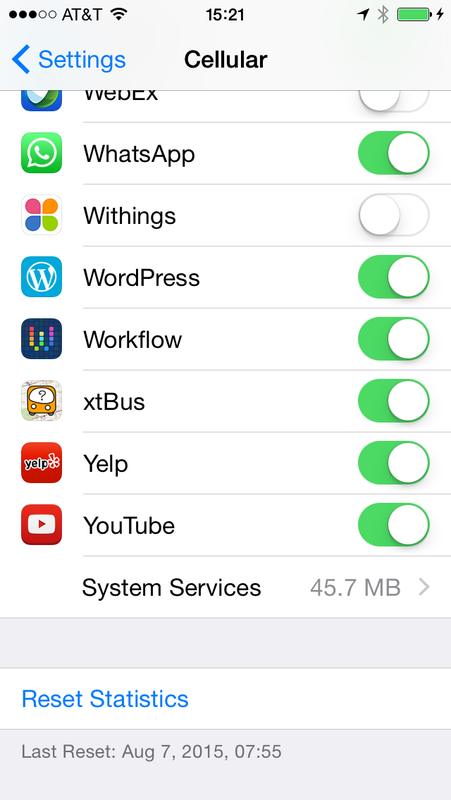 Don’t let your iPhone rack up huge data charges! I recently received a text message from AT&T, telling me that I was at 90% of my monthly data cap. I was a bit surprised at this, given that I had 5GB of data for the month, and didn’t think I’d used an excessive amount of data. Since I’m on a mobile share plan with one of my colleagues, I checked with him to make sure he wasn’t the one sucking down our data. As expected, he wasn’t. 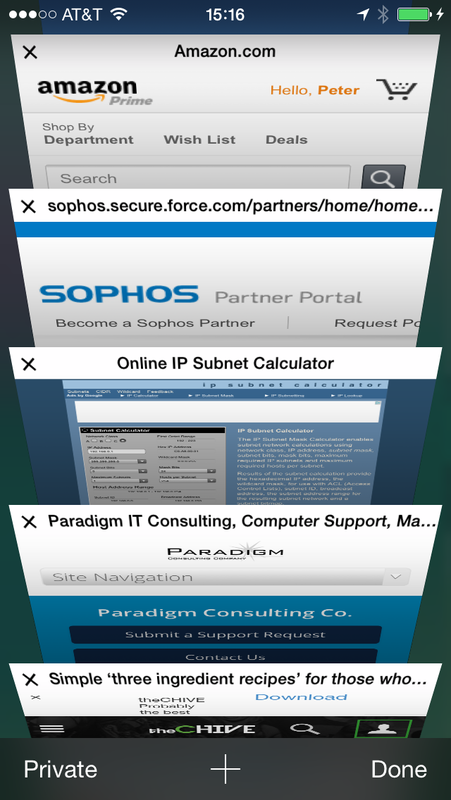 It turns out that I had dozens of web pages stored in my iPhone’s mobile Safari web browser. Why? Because when I am on my phone and I hear an interesting link in a podcast, or a friend texts me something I don’t have time to check out, I will immediately click the link and then leave it in my browser to get back to when I have time. I had been doing this for quite a while, and had tabs in my browser stacked up from several weeks back. What I did not realize was that every time I opened Safari, it appeared to be preloading these pages in the background while I thought it was only downloading content for the single page that I was looking at. As a result, I was able to chalk up 50MB of data by just opening my web browser app! Throughout the course of the day, I opened my browser a few more times, each time thinking I was loading a single web page, but getting much, much more than I expected. I immediately started cleaning up my browser by adding URLs to my reading list and closing them down. For the next few days, I was able to use only about 10MB of data per day while going about my normal routine, and I stayed under my monthly data cap. 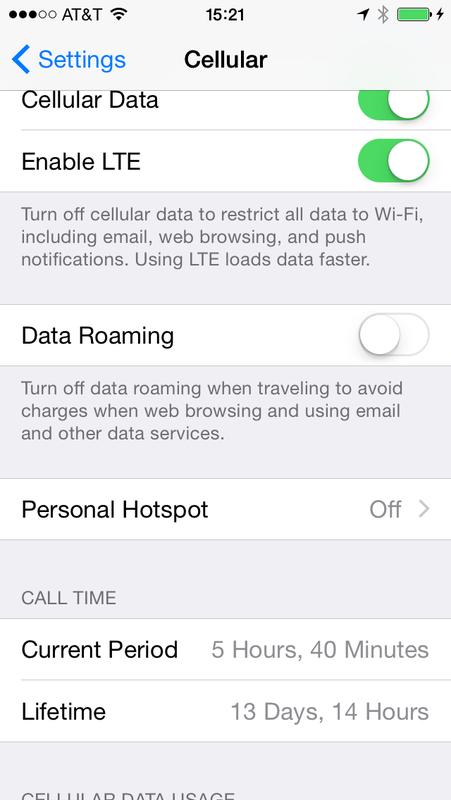 If you have an iPhone and are curious as to where your cellular data is going, you can check it any time by opening Settings > Cellular. There you will see usage for the “current period,” which means “whenever you last Reset Statistics on this screen.” Most likely, you haven’t reset statistics for some time, if ever, so these numbers will be a sort of running tally of all cellular data you’ve used on the phone. What I do now is have a reminder to Reset Statistics on the night of my phone’s last billing cycle, so in the morning, I start fresh and can track exactly what apps are using up my data. Need help deciphering tech and seeing where your data is going? Contact us today and request a free, no obligation, audit of your cellular data usage.